Part 2 of this series on the phenomenon of remote healing can be read, here. There was a time in the US when chiropractors were looked at with suspicion, homeopaths and herbalists were considered quacks, and naturopaths, acupuncturists, ayurvedic medicine practitioners, rolfers… these were unheard of. Well, things change. Alternative medicine is the preferred choice of millions of people now, and for very good reason. Who doesn’t know that the human body is energy, with energy vortexes and channels? Your mainstream medical doctor, that’s who. Western medicine is a little slow on the uptake, but that’s okay. We’ll move on. They’re great when it comes to traumatic injury, tests and diagnosis, but for dealing with the source of disease they’re quick to confess… we don’t know. Well, who does know the human body is energy? Your local theoretical physicist will tell you, and so will the metaphysician next door. I’m joking… but not. Turns out everybody is local, but we’ll get to that in a minute. How does disease enter the body? Bad food, too much food, no nutrition, toxic substances, viruses and bacteria, stressful thoughts, attachment to negative emotions and going stagnant from too much sitting… to name a few. To be healthy, we do our best to avoid the disease causing factors. But what about energy? How can we affect energy to heal the body or maintain health? Acupuncture is a very old health system that works to circulate and balance energy, medical Chi Kung is another and metaphysical energy work is another. These methods work on channels and blocks or clusters within the physical body and within the etheric body which surrounds the physical. The practitioner is with you, either hands-on or near you, affecting the etheric. Here is where the real new frontier begins: as the matrix ponders how to genetically modify and patent human embryos, we step off across the universe into the most liberating health technology ever! I get excited. There are healers who can work on you when they are thousands of miles away from you. I hope this doesn’t sound like fantasy, because yes, this is real. A healer can work on you from anywhere… such work is called remote healing. To understand how, it is important to return again to the fact that we are all energy. In the energetic reality of the universe, there is no distance. We are all local, like I said. I’m sure you’ve had a taste of this in telepathy… no magic… just the vast reality of what we are and ‘what is’. The remote healer can view or feel the energy of the person they are going to work on from any physical distance, as each person’s energy signature is as unique as their life experience. The feeling of us is the information of us and even the sound of us… all of our information including that which needs to be cleared and adjusted to facilitate healing. The healer needs only to tune in and locate the resonance, and this is done through natural abilities, meditation and deep relaxation or trance. I’m going to focus on my own remote healing experiences with Soren Dreier. He is a more than 20 year veteran of energy reading, hands-on healing and remote healing, living in Denmark. In a later piece I’ll cover experiences with a remote healer in the US, and a remote self-healing group process as well. In these two pieces you should be able to see just how effective, deep, long-lasting and unique remote healing can be. Healers see differently, they notice and deal with different physical or psychological issues, and they feel different to me when they come in for a visit. I first arranged an energy reading with Soren, and that was mind blowing and life changing in and of itself. He delivered his report in an mp3 sound file, and it was interesting to hear the resonance of his voice… a very encouraging resonance. I didn’t realize the significance until several months later when I scheduled a remote healing. Soren is quite well-known: not someone you’ve seen being interviewed by Oprah, but a person long recognized and highly regarded in the field of metaphysics and new-age thought. I experience his energy as large, open and very loving. Before a scheduled healing takes place, I will relax in a private space and enter into meditation. It’s funny, but I can usually tell when he comes in because there will be a tickle on my nose and I’ll realize… Soren’s here. During the healing I experience physical sensations such as tingling in the arms and hands, waves of energy rolling up and down my body, and visions in the mind’s eye… colors, a person’s hands, children playing and so on. I sense him working about a foot above my body. Everybody’s experience would be different… this is just mine. Later, Soren was kind enough to tell me what he experiences, in general terms. He is not influenced by the physical embodiment of the person when he views the person. He uses focused and conscious attention and breath, and enters quantum field where he can see minor adjustments that need to be made, and unhealthy patterns. He will first work on high impact areas, which are usually the kidneys and liver, lungs, shoulders and hips. As he moves energy from the feet up to the head he can feel where the problems are as the movement of his hands slows down. Amazing as it may sound to us, he does remove an etheric body part if necessary, work on it, and place it back. He will hold the person’s head in his hands, make a spinal or joint adjustment and clear clusters of energy from an organ. The etheric body issues are mirrored in the physical body. A person’s energy vortexes (chakras) have a sound, which he can hear. 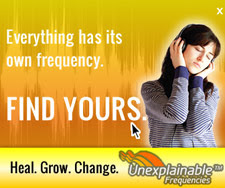 All energetics are based on sound frequencies, and can be adjusted with sound. If the vortex is off pitch, related to stress, he will tune it with his voice. The meridians can be viewed as colors. After he has balanced the energy, the meridians will all appear to him as gold. There is much more that can be viewed during a remote healing, such as the energies of another person affecting the quantum field of an individual. He works on this as well. This kind of work is like that of an explorer in uncharted territory. Soren’s system is his own system, and there is no school of thought other than the healer’s own school. Healing through the energetic process can take time, as illness is sometimes hard for an individual to let go of. Trust and receptivity of the person being healed can be a factor, and Soren is extremely patient with that. If people are not happy with their healing, he will repeat it. Well, I hope I’ve given you an idea of how doctors in the renewal might be a little different than doctors of today! As to my own healing, after the first time Soren visited I got up and looked in the mirror and my face was bright and glowing… it shocked me to be honest. I felt highly energized and relieved of shoulder and hand pain from rheumatoid arthritis. After the healing series, Soren prepares an mp3. The reason we feel so good when listening to it, is that his voice frequencies can be felt in the solar plexus, and they are specifically aimed to continue the healing process. The heightened energy from my healing lasted for a full two weeks, so much so that I’ve stopped taking steroids, which I’ve wanted to do for 28 years. This disease was a long time coming, so it may take me some time to release it completely, but the process is happening. I know I’m taking you a long distance when talking about remote healing and self healing, and yet openness to alternatives has taken millions in the direction of freedom from symptom and disease-based medicine. Acknowledging that we are energy, and disease begins in the etheric and moves to the physical, gives us a glimpse of that future world where there is no more disease. Everything is energy and everyone can heal… so let’s continue to explore the uncharted territory of remote healing. There’s more to come! Is Medical Marijuana Safe For Children and Adolescents? Hey Monsanto, Did You Hear That?